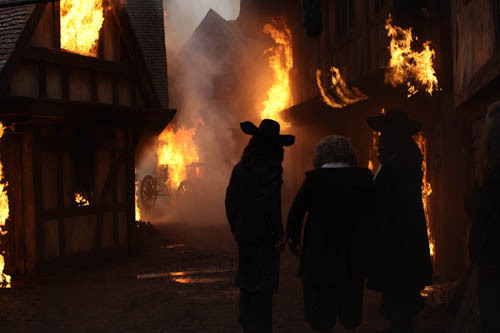 The Great Fire executive producer Douglas Rae talking to me on location in Greenwich. 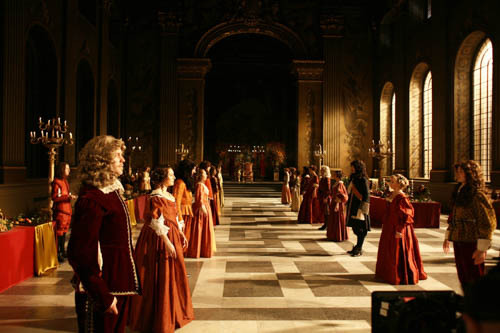 Filming scenes that day in the Painted Hall at the Old Royal Naval College – one of the finest rooms in the world. The next time we meet is somewhere in the countryside near Henley. Where 1666 London and the River Thames have been re-created for the screen, along with the flames that will destroy a huge part of the city. The four-part drama begins on ITV at 9pm this Thursday (October 16). 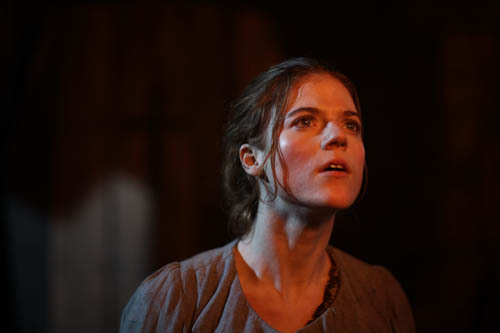 Telling the story of both the fire and the human stories within it. From humble baker Thomas Farriner to King Charles II. 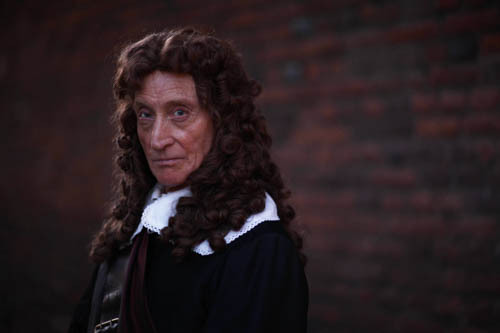 My interviews for ITV with Douglas Rae, Andrew Buchan (Thomas Farriner), Jack Huston (King Charles II), Rose Leslie (Sarah Farriner), Daniel Mays (Samuel Pepys), Charles Dance (Lord Denton) and Oliver Jackson-Cohen (James, Duke of York) are at the link below. 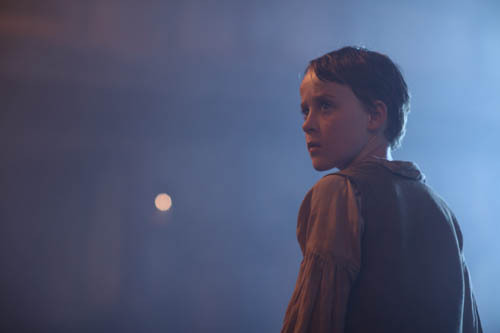 Also scroll down for more pics from the production. 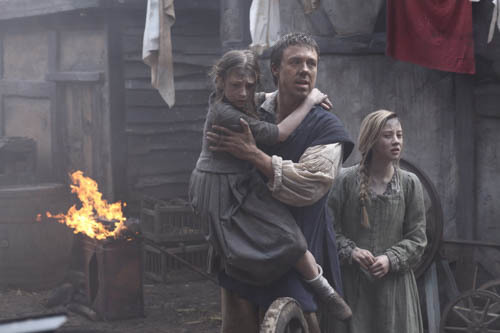 Thomas (Andrew Buchan), Hannah (Polly Dartford) and Mary (Trixiebelle Harrowell). 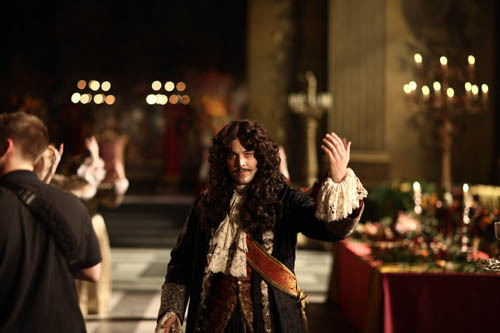 Jack Huston as King Charles II. Charles Dance as Lord Denton. 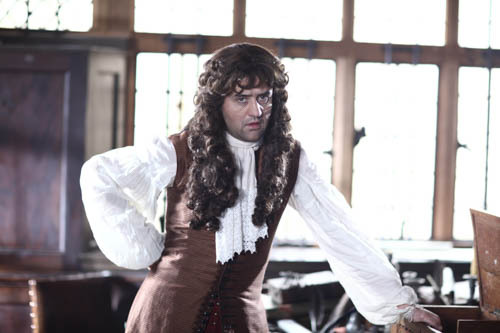 Daniel Mays as Samuel Pepys. 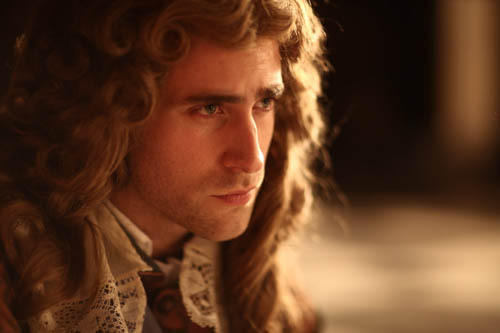 Oliver Jackson-Cohen as James, Duke of York. 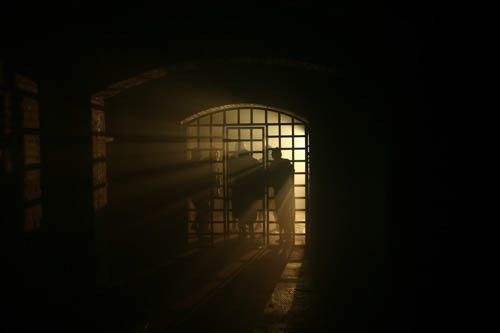 Sonya Cassidy as the Queen. 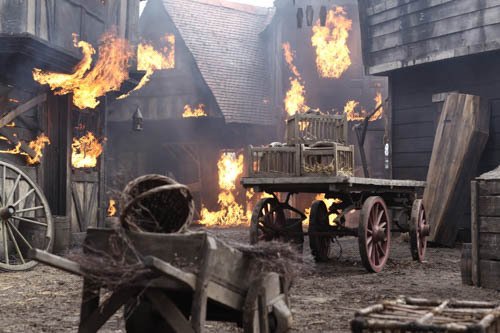 Posted in News and tagged 1666, Andrew Buchan, Blaze, Charles Dance, Daniel Mays, Danny Mays, Douglas Rae, Ecosse Films, Great Fire of London, ITV, ITV Drama, Jack Huston, London's Burning, Oliver Jackson-Cohen, Rose Leslie, Samuel Pepys, The Great Fire, Thomas Farriner. Bookmark the permalink.